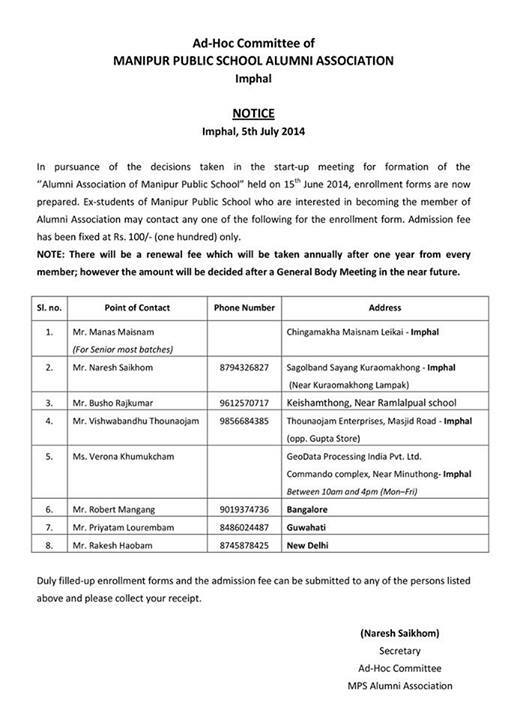 The MPS Alumni Association has started its membership drive. You can now enroll yourself and your friends for the membership of Alumni Association by making a payment of Rs.100/- as a membership fee. STEP 1) The application forms can be collected from the Point of Contacts which are at different places. Please contact whoever is convenient for you. 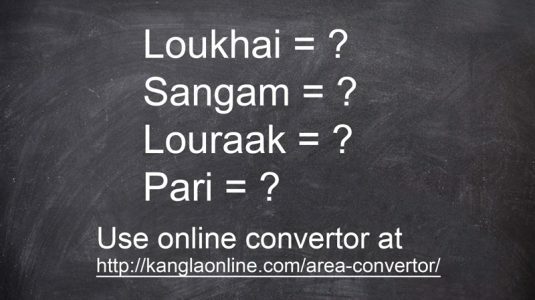 The application form can also be downloaded by clicking the link http://goo.gl/GIvpiF or from the FILES link of the official page at Facebook. STEP 2) The duly filled forms along with a Passport size photograph should be submitted to any of the Point of Contact (POCs) whichever is convenient to you. STEP 3) While submitting the form, please pay an amount of Rs. 100/- as a membership fee and collect your acknowledgement receipts from your respective POCs. NOTE: For the MPSians who are staying outside Manipur, you can make the membership payment through NEFT or ATM transfer and submit the duly filled forms by sending a scanned copy of it to your respective POCs. Acknowledgement document can be collected from them. Please send in your queries, if any at [email protected] with the subject line “Alumni followed by your batch year”.